Our gorgeous metal roofs are Class 4 impact-rated, Class A fire-rated, and built to last up to three times longer than asphalt. 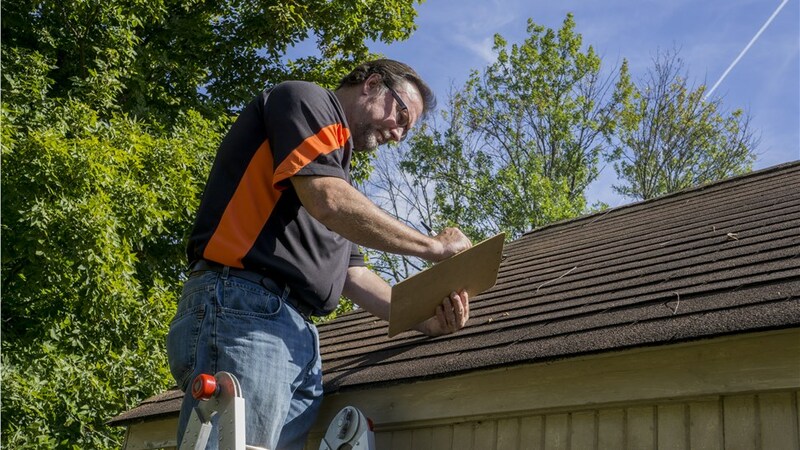 Given the varying temperatures we experience here in Bloomington, many local homeowners have realized that the bare minimum of home protection simply isn’t enough. 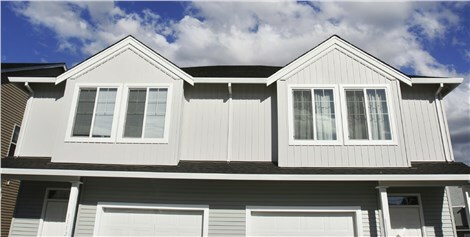 To make sure your property can withstand the highs of summer and the lows of fall—without costing a fortune in energy bills—consider the Bloomington metal roofing of New Windows for America! 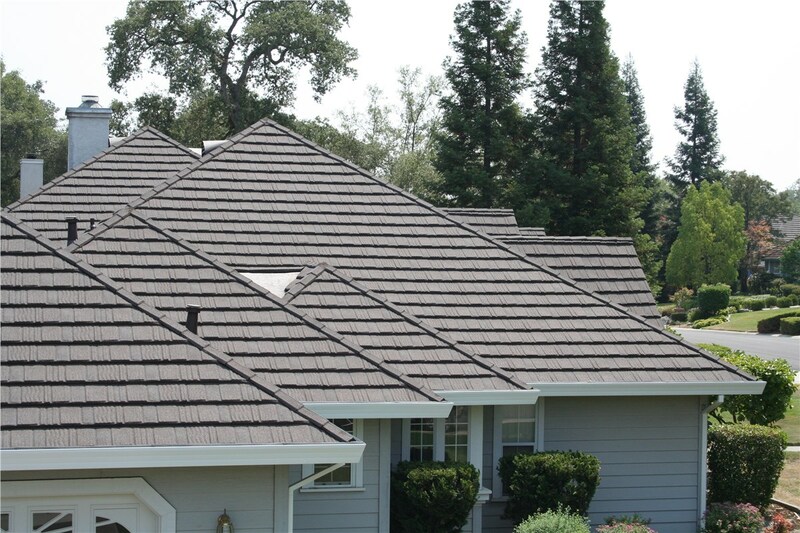 With an installation of our customized, high-quality, stone-coated metal roofing, Bloomington families can enjoy a weather-resistant, beautiful home that’s guaranteed to last. 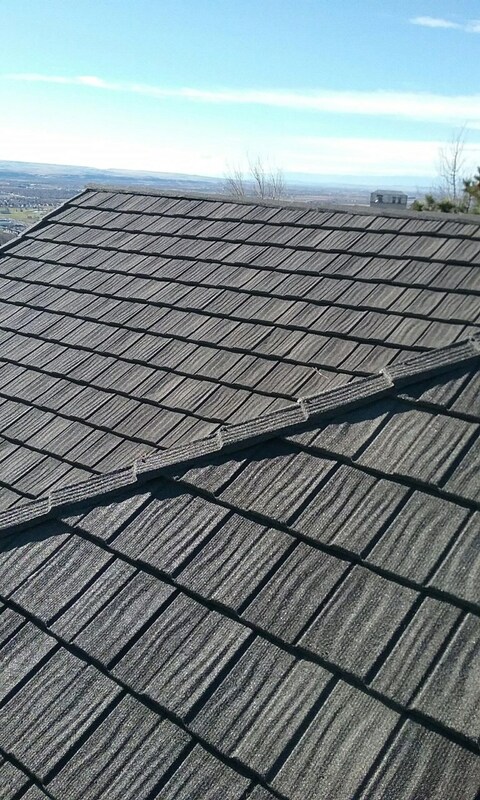 Energy Efficiency:Our stone-coated metal roofing is insulated against the outdoors to help prevent air leakage and keep energy bills low. 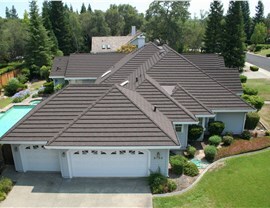 Safety: Our metal roofs have earned Class 4 impact resistance and Class A fire rating, helping protect your loved ones from inclement weather and home disasters. 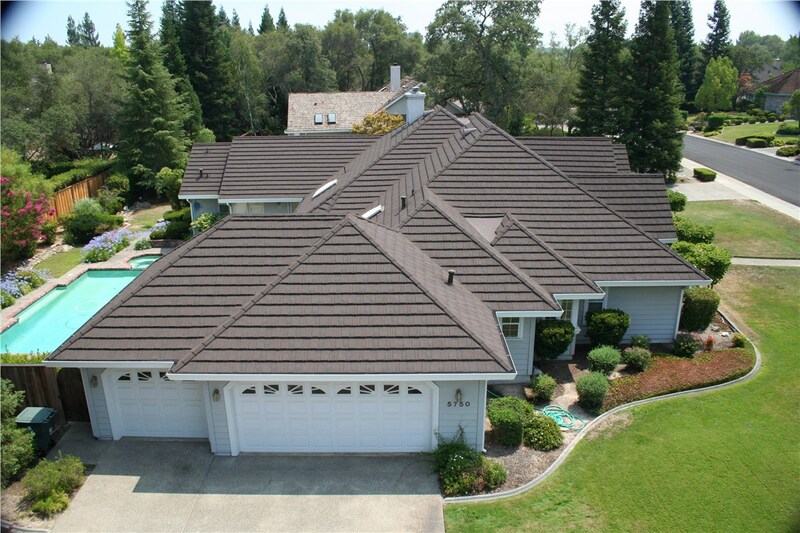 Longevity:Because we’ve hand-chosen the best brands, our Bloomington metal roofing offers nearly three times the expected lifetime of a traditional asphalt roof! 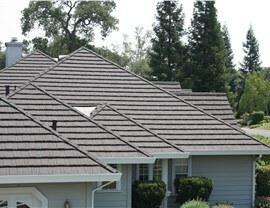 Beauty: Whether you prefer the classic appeal of shingles or the charm of shakes, our metal roofing comes in various styles, sizes, and colors for a custom look. 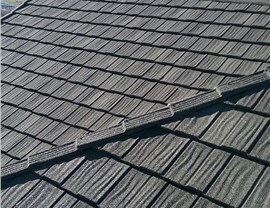 Beyond the exceptional quality of every roofing product we offer, you can also expect to receive unmatched care from your New Windows for America metal roofer! Bloomington residents have counted on us since 2000, and we have more than 4,500 references who would be happy to speak to the experience of our staff and the quality of our installations. To ensure your total satisfaction, we even offer 50-year transferrable warranties against warping, cracking, splitting, and breaking. Find out why over a third of our business comes straight from repeat customers or referrals by contacting New Windows for America! We’re BBB-accredited, Angie’s List award-winning, and ready to serve your family today. 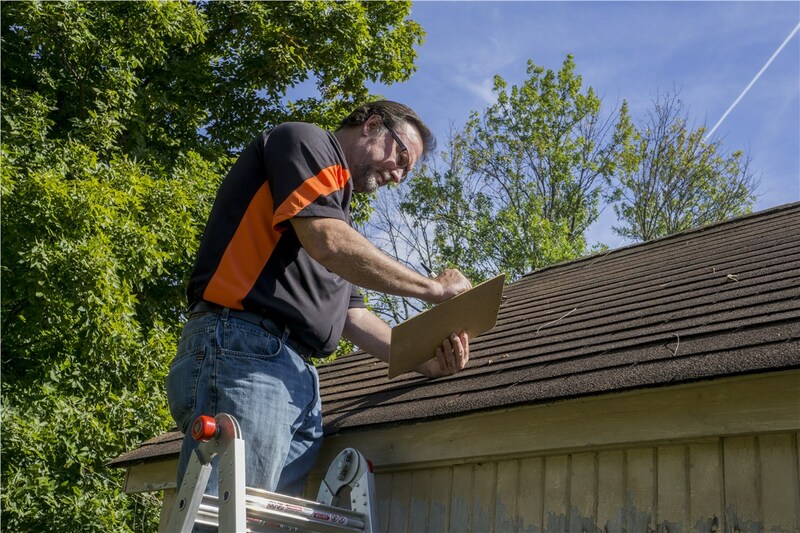 Call us to speak with a Bloomington metal roofing specialist, or go ahead and sign up for your roof inspection and free quote by submitting our brief online form now.